Use this basic recipe as a rough guideline, varying the amounts and spice choices according to taste. Combine all ingredients. 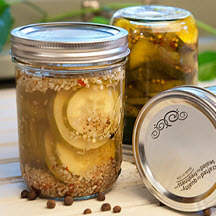 Make small batches of several blends and use your assortment on pickling day. Recipe and photograph provided by Frontier Natural Products Co-op via Brandpoint Content; Copyright 1996-2014.